Fun is guaranteed for your four-legged friends with this play tunnel. It is well suited to grow your dogs confidence, discipline and fitness. 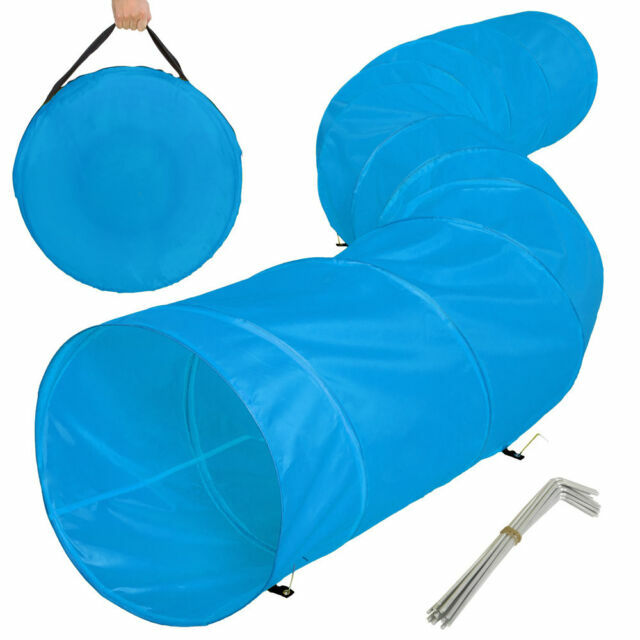 The play tunnel is fantastic alongside other dog agility training equipment. The tunnel can be used in diverse circumastances thanks to the quick setup and disassembly, whether in your home or at the local park. Due to the included carry case, you can easily transport and stow away the dog tunnel. Suitable not only for dogs - also great for kids to play in and enjoy! The play tunnel is a fantastic source of enrichment and a fun way for you to train with your dog..
Definitely worth the price. I would not recommend this for schools, but this is perfect for home exercising. I am very satisfied with it.